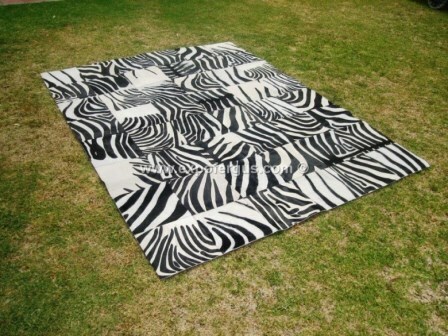 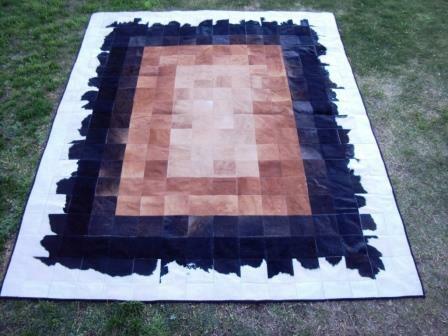 Order directly from producer like us and save a lot on your cowhide rug. 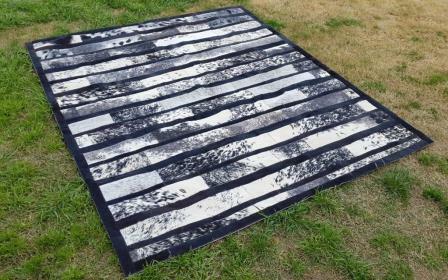 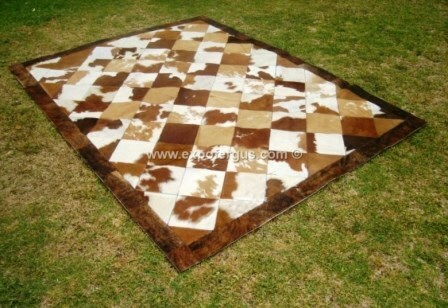 The cowhide carpets that we produce are designed by professionals, and produced as an art basis; as a result of that we have an excellent combination, to have a superior product. 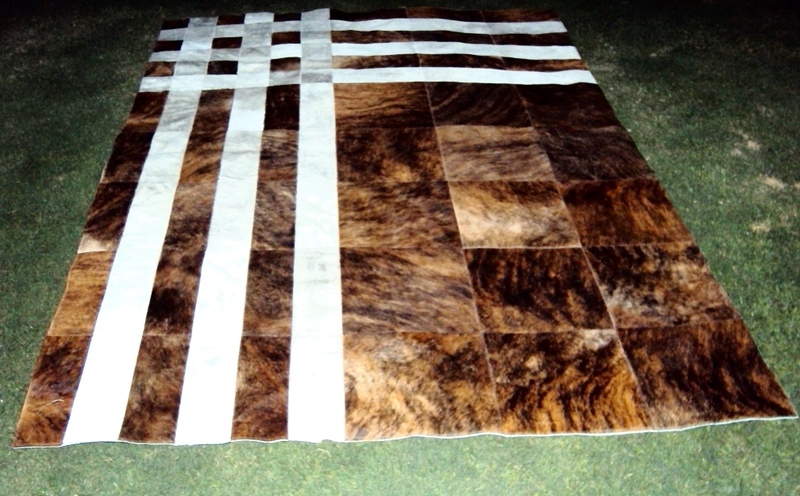 We offer custom sizes, designs and colors production. Cowhide is a great option for your floor, wall covering or upholstery needs. 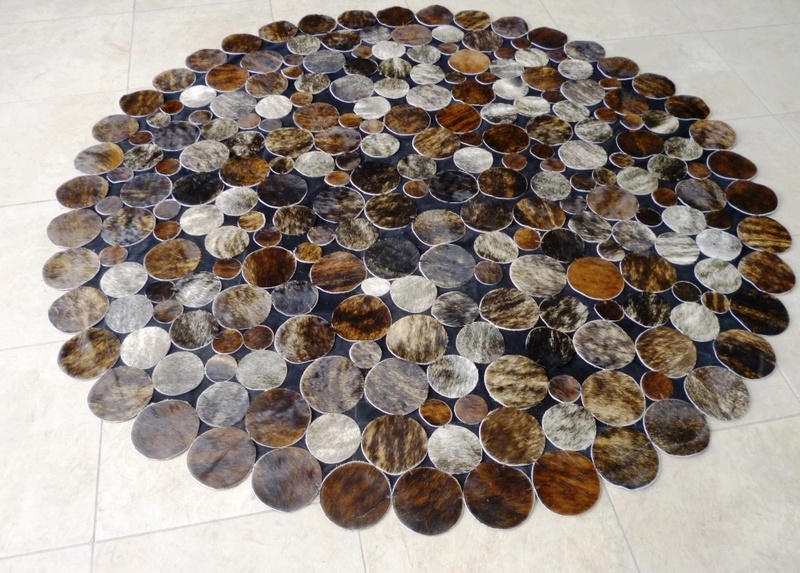 Our cowhide rugs are made only with the best selected cowhides; handmade, and assembled with a high quality cotton ribbon and zigzag stitching. 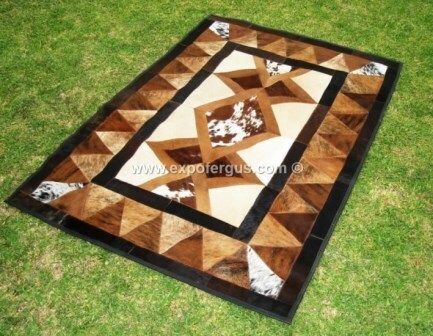 We combine different patches shapes, sizes and colors to obtain attractive and exclusive designs. 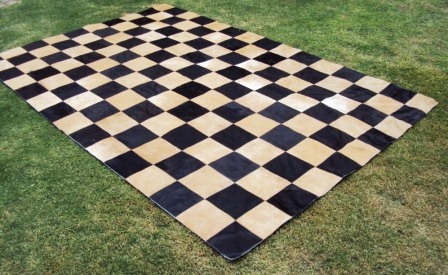 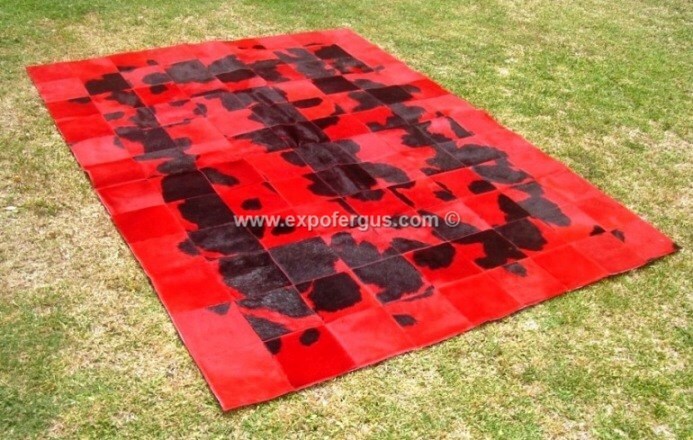 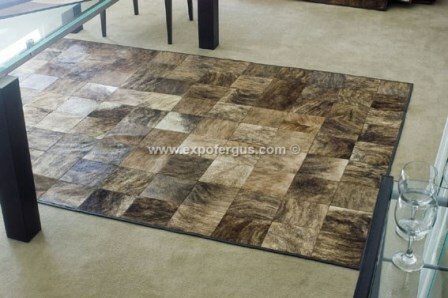 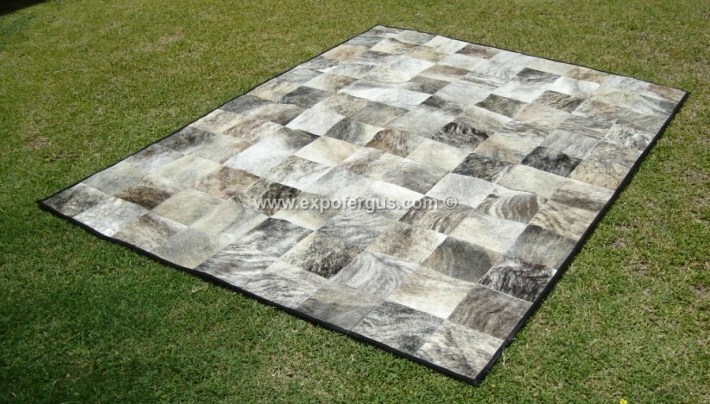 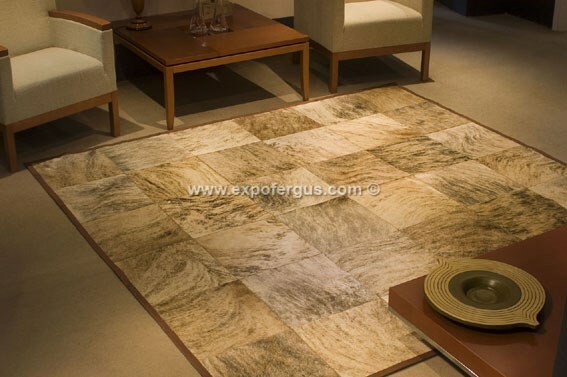 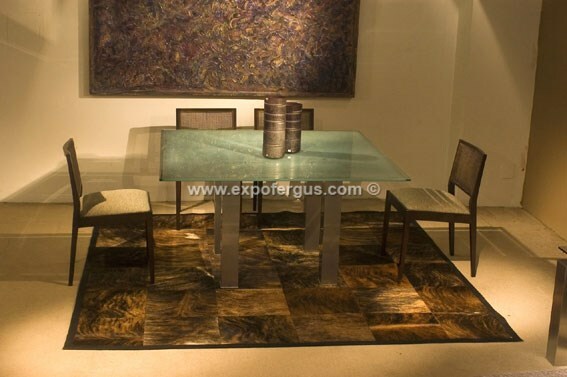 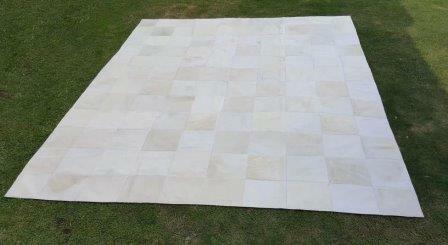 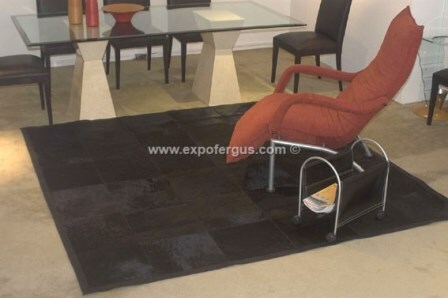 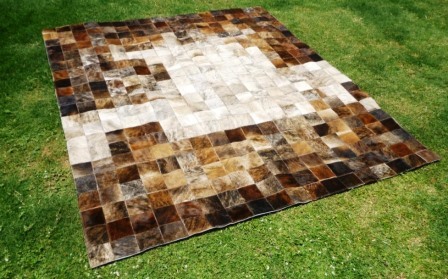 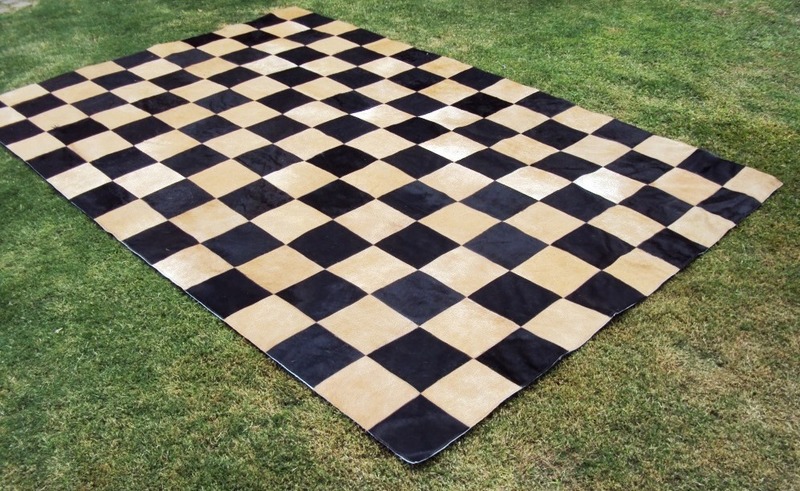 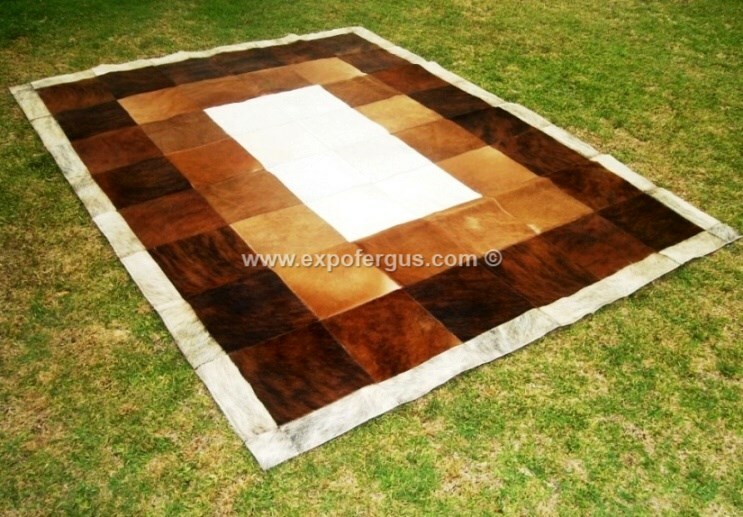 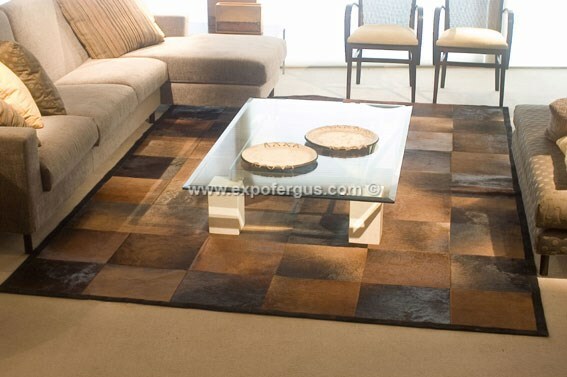 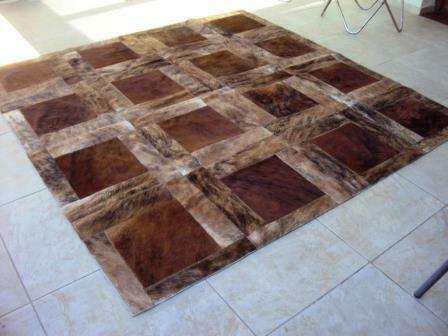 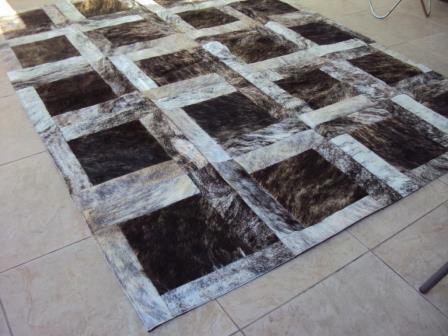 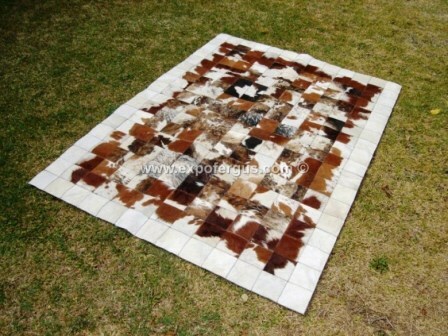 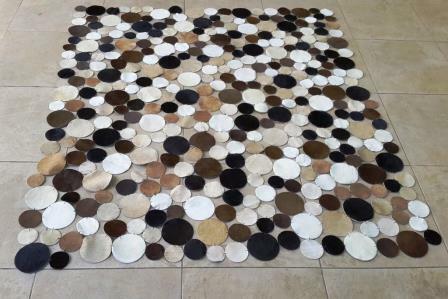 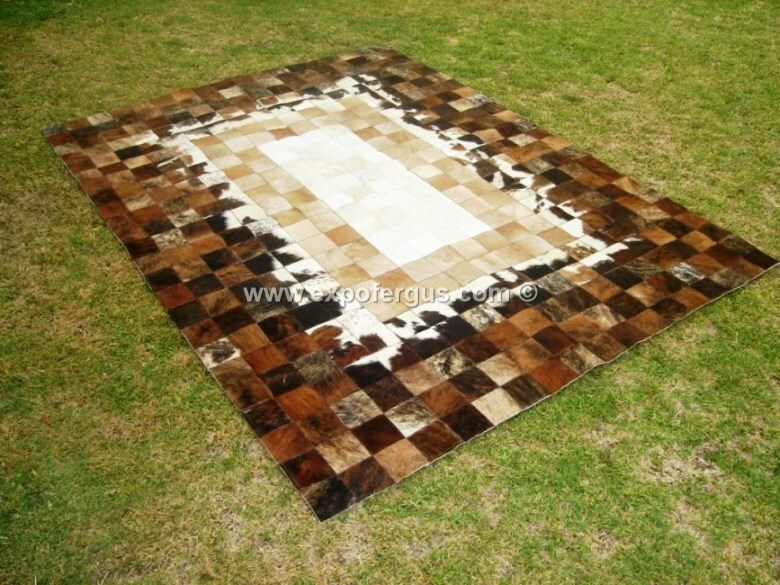 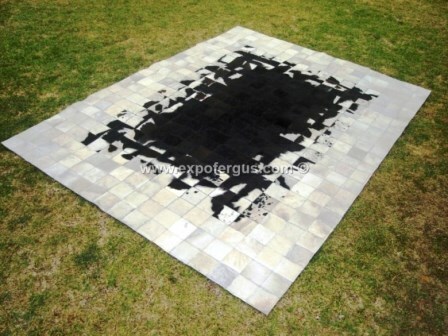 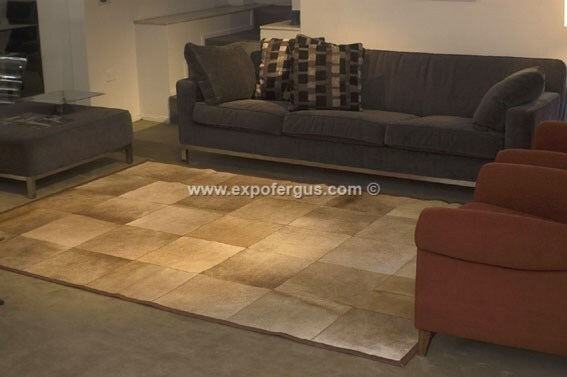 The perimeter of the cowhide rugs can have leather border or not according to customer specifications. 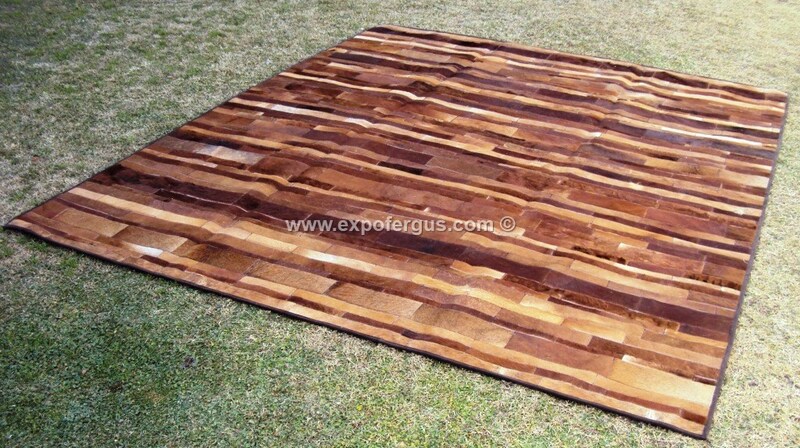 Most common sizes of rugs that we produce are 4 ft x 6 ft (120 x 180 cm), 5 ft x 7 ft (150 x 210 cm), 6 ft x 8 ft (180 x 240 cm), 8 ft x 10 ft (240 x 300 cm), 10 ft x 14 ft (300 x 420 cm). Of anyways, we can make your rug with your custom dimensions. 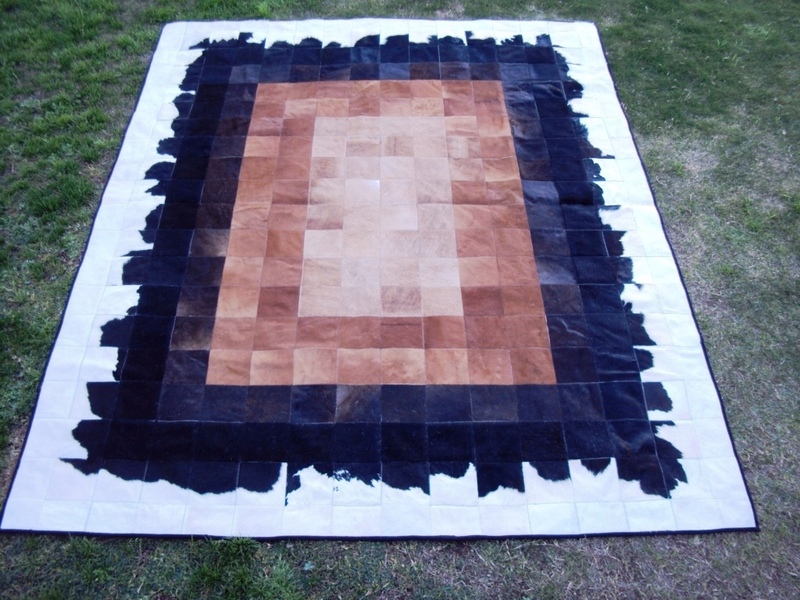 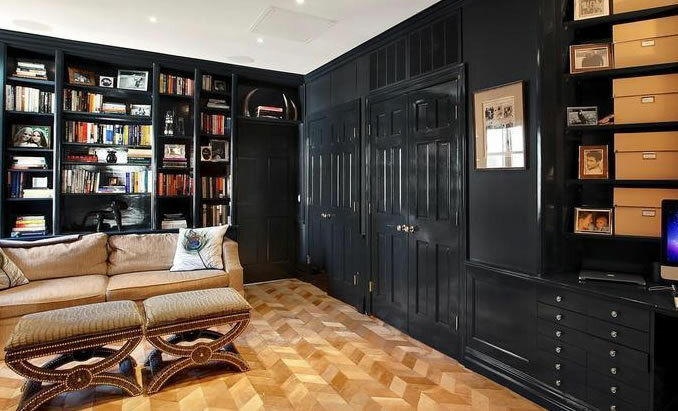 We really love the challenges, so if you are an Architect or design professional, and have any specific need for a leather rug or a cowhide wall hanging, please let us know and we will work hard to accomplish your design requirements.